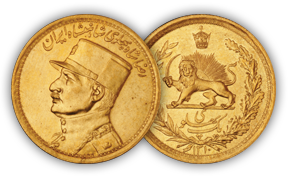 The ANA’s Edward C. Rochette Money Museum has one of the world’s most spectacular numismatic collections, including pieces from every country, time and genre. The collection’s origins date to 1928, thanks in large part to the efforts of Moritz Wormser (1878-1940), one of the most prominent leaders in the Association’s history. 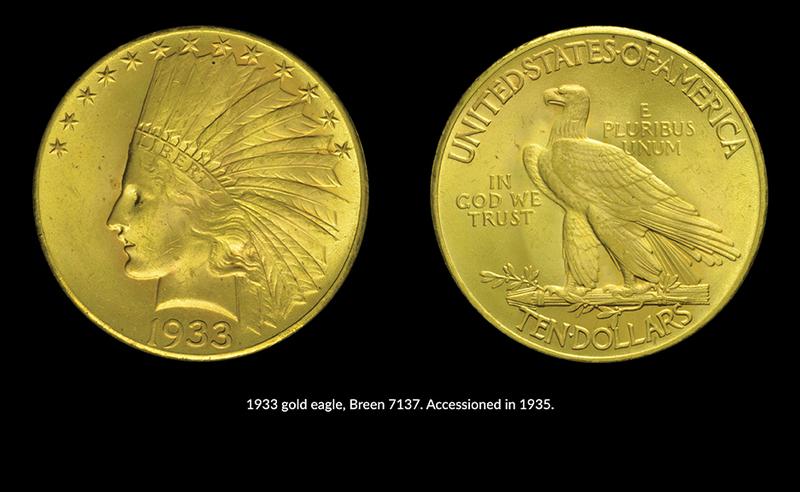 Born in Heidelberg, Germany, Wormser grew up in Wiesbaden, where he developed an interest in coins at age 12. After his parents died, he moved to the United States in 1898 to live with an uncle. He received degrees from Columbia University in 1899 and 1903, and Colorado College in 1900. Professionally, Wormser worked as an engineering contractor until 1911, then turned to finance until opening a coin shop in 1936. 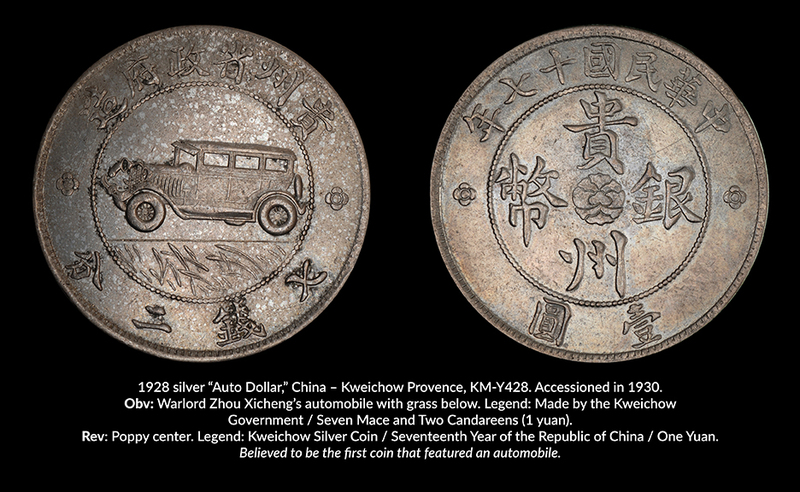 Wormser had many collecting specialties, including silver thalers, portrait coins featuring notable women, and Asian rarities. He was able to recognize great specimens with a quick glance. 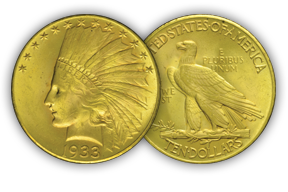 One of the first Americans to specialize in world gold coinage, Wormser acquired a remarkable collection of rare Transylvanian gold and silver coins; his research on the subject was published in 1915. He was a Fellow of the American Numismatic Society and served as treasurer of the New York Numismatic Club. 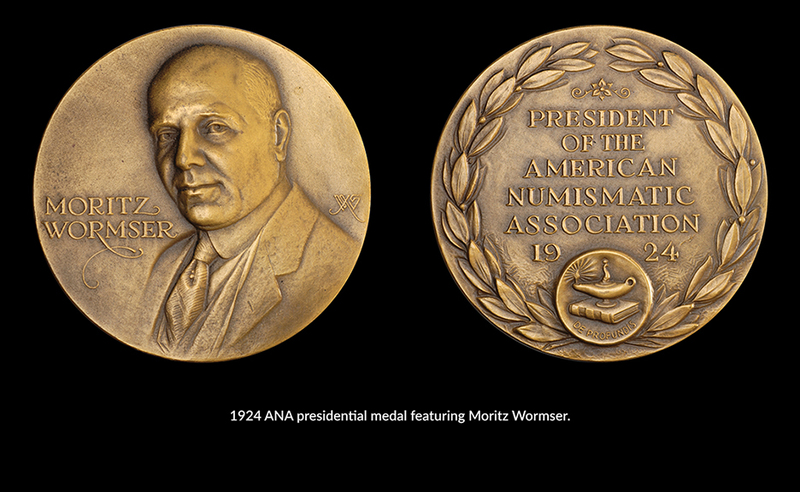 In 1912 Wormser joined the ANA and five years later was elected to its Board of Governors. He was elected chairman of the Board in 1919 and in 1921 became ANA president. 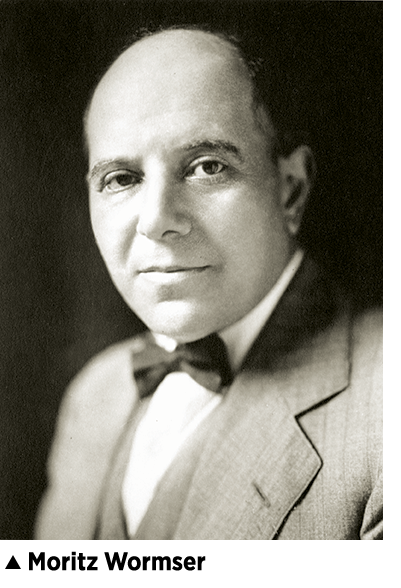 After four re-elections, Wormser stepped down in 1926 having served the longest term of any ANA president before or since, but remained on the Board for another decade. 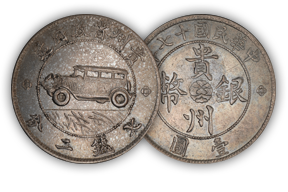 In the December 1923 issue of The Numismatist he suggested a weeklong celebration called Coin Week. 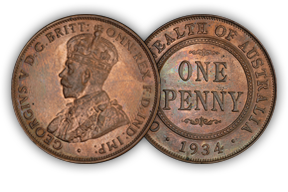 In April 2018, the 95th annual National Coin Week was observed. A permanent monument to the considerable legacy of this icon is the Moritz Wormser Memorial Collection, consisting of all objects amassed by the ANA until its permanent headquarters was built in 1967. 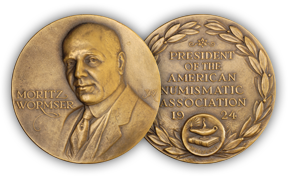 Wormser was longtime chairman of the ANA’s Coin Purchasing Committee, and arrangements were made between the Association and the Smithsonian Institution for the storage and exhibition of loaned coins belonging to the ANA. In 1928 the Smithsonian received the first 63 specimens, with subsequent shipments continuing periodically until 1966. Upon Wormser’s death in 1940, fellow ANA Numismatic Hall of Famer David Bullowa became the Coin Purchasing Committee’s chairman. On December 21, 1940, Bullowa sent a letter to the Smithsonian stating that the ANA specimens in its possession would thereafter be referred to as the “Moritz Wormser Memorial Exhibit of the American Numismatic Association” (later renamed the Moritz Wormser Memorial Collection). 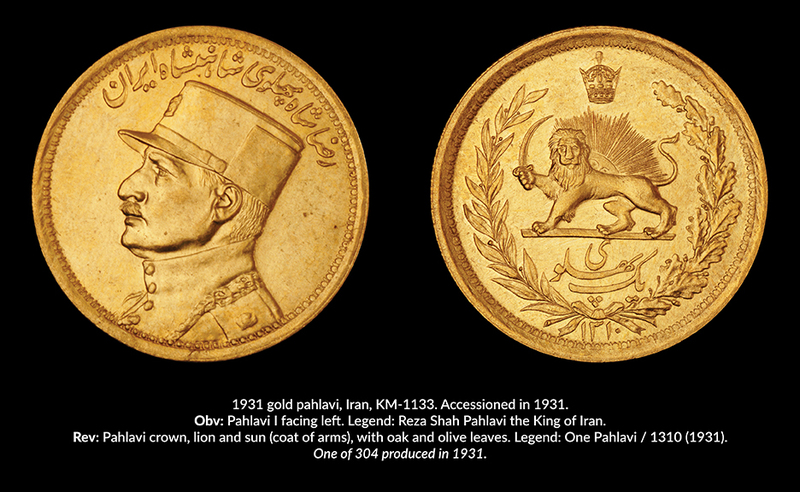 The collection consists of about 3,600 coins, medals and paper money from ancient to modern times. 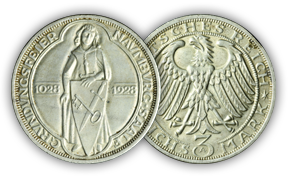 Because Wormser traveled extensively around the world, the collection is particularly strong in contemporary world coinage, especially from Europe, and includes objects acquired by committee members and donations from ANA members. 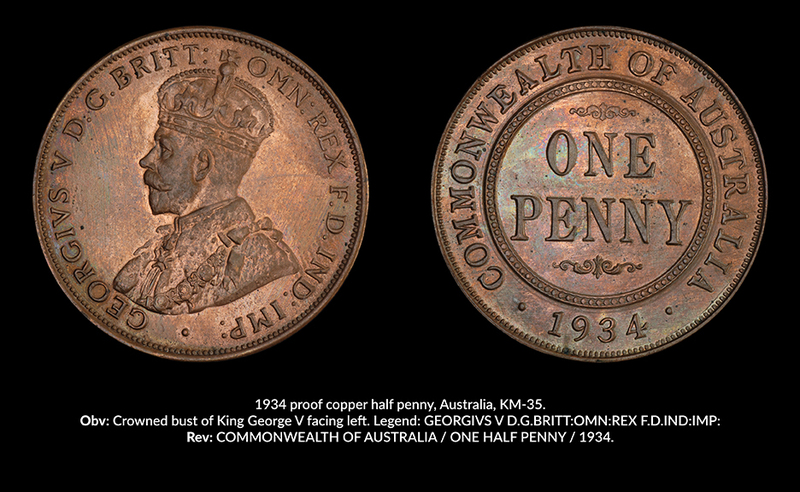 It comprises some of the Association’s most interesting pieces, such as a 1933 eagle, a 1928 Chinese “Auto Dollar,” a 1934 Australian proof half penny and many world gold pieces. 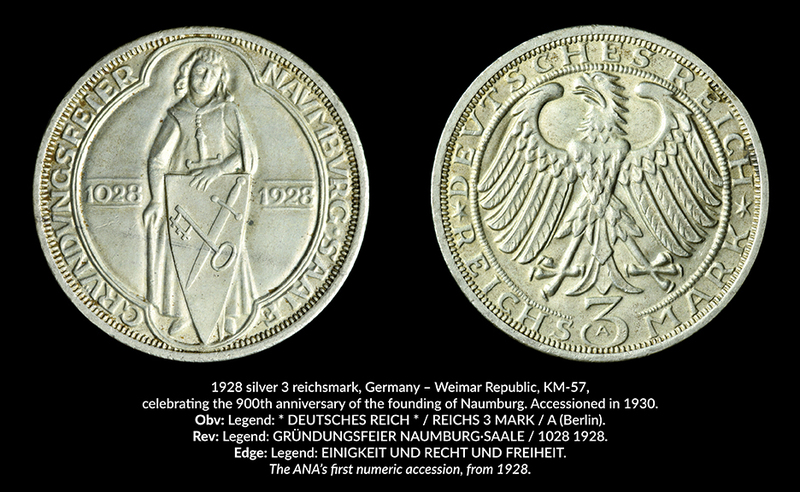 A 1928 German 3 reichsmark has the distinction of having Accession No. 1963.1.1—the first numerically identified object in the ANA’s vast holdings. Numismatics: Government Support and University Instruction, a Plea for Recognition, An address by Moritz Wormser, president of the ANA, at its annual convention in New York City on August 28, 1922. Call number: AA10.ANA 1922. Luther and the Reformation, Illustrated on Coins and Medals, by Moritz Wormser. Call number: JG70.W6. Tales from the vault has always been a favorite blog for me. I really look forward to them. Thanks for the story! I love reading Tales From the Vault. Thanks! Great to hear more news about the ANA's past. National coin week was his best idea. Great story I love success story's like this. What a great story. Thank you for writing it. I enjoyed it very much. Mike. Love behind the scenes info. Thank you!